2. Place on 5 spots along the center line (see A). 3. 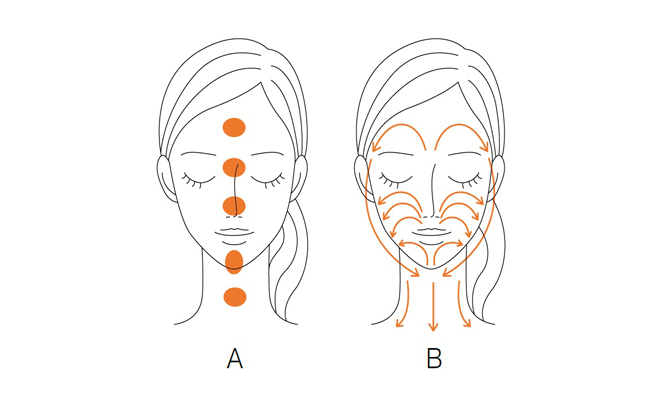 Gently apply to the entire face by moving both hands in a heart-shaped motion, from the bottom (tip of the chin) to the top and from the center to the sides. 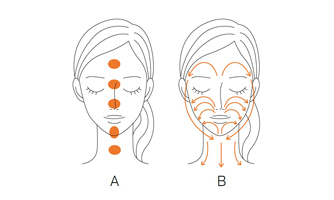 Massage from the outer parts along the contours of the face, and work your way to the neck (see B).